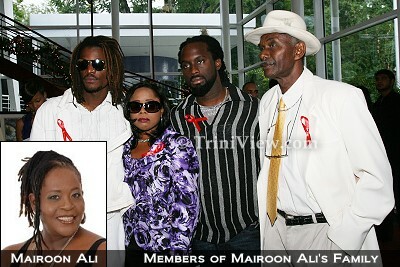 Published on December 20, 2009 in Culture and General T&T. 16 Comments Tags: Mairoon Ali. Beautiful! That’s the most appropriate word that can be used to describe the celebration ceremony of the life of Mairoon Ali at Queen’s Hall, St Ann’s, yesterday. An almost packed auditorium of family and friends, who came out to pay tribute and bid a final farewell to a treasured woman, were treated to nothing short of the many colours of Ali. Among the gathering were Ambassador Joan Yuille-Williams, MP for Mayaro, Winston “Gypsy” Peters, Peter Minshall and Minister of Information Dr Neil Parsanlal. Published on December 20, 2009 in International and Race and Identity. 21 Comments Tags: Annalee Newitz, Avatar, Movies, USA. Published on December 20, 2009 in General T&T, PNM, Politics and UNC. 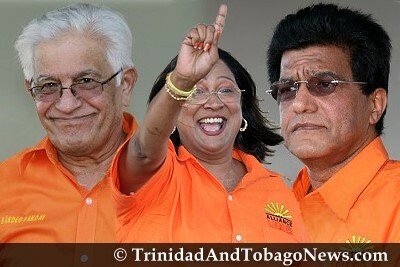 9 Comments Tags: Basdeo Panday, Kamla Persad-Bissessar, Politics, Raffique Shah, Ramesh Maharaj, T&T Govt, UNC. As a Christmas gift to my colleague of many, many moons ago, I am backing Basdeo Panday for leadership of the UNC in the upcoming party elections. I have taken this decision, not after long and hard examination of the issues at stake, or any analysis of the future of UNC, but purely because Bas is a man. And this country of warped minds where people are whimsical in their outlooks, man must back man. Published on December 20, 2009 in Finance, General T&T, PNM and Politics. 6 Comments Tags: Abuse, Calder Hart, Keith Rowley, Politics, Property Tax, T&T Govt, UDeCOTT.